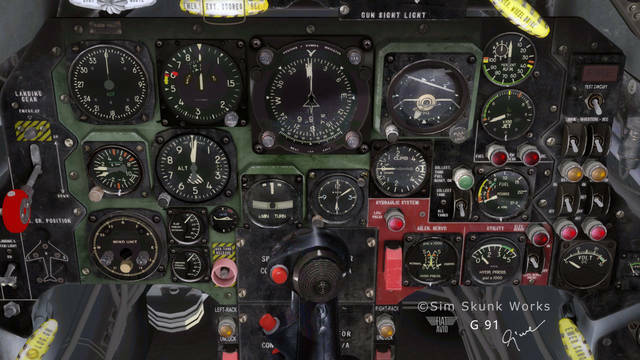 All version upgrades and patches at no cost. 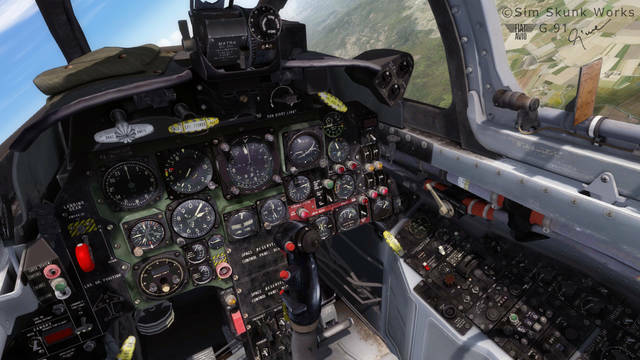 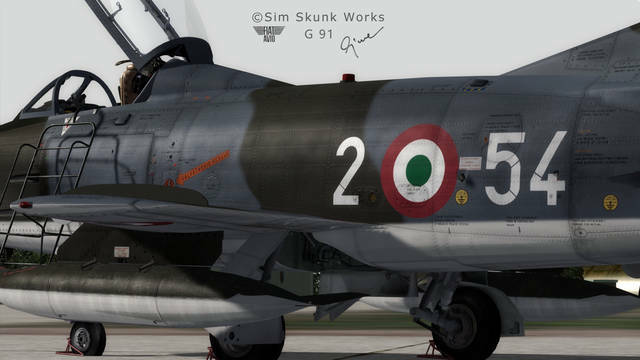 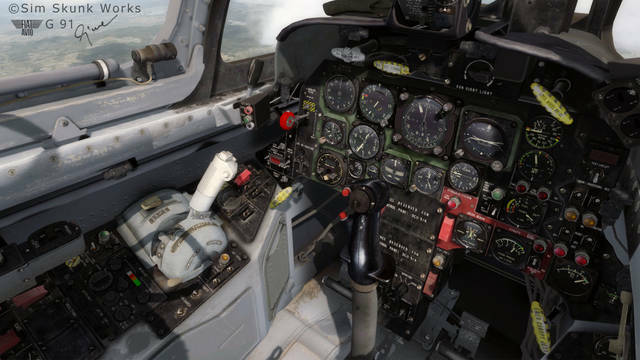 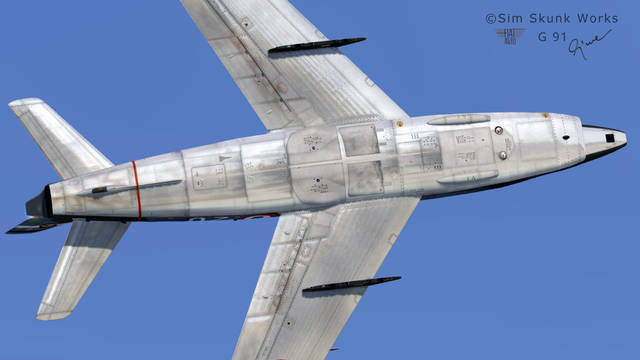 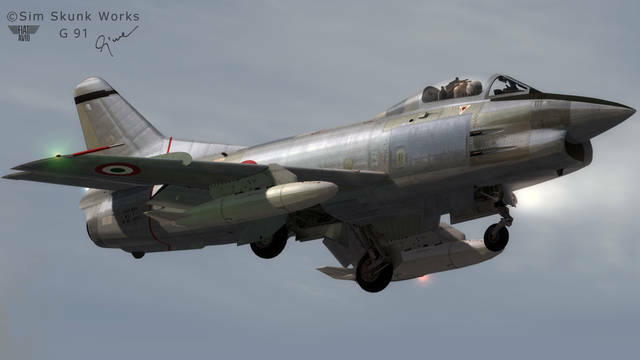 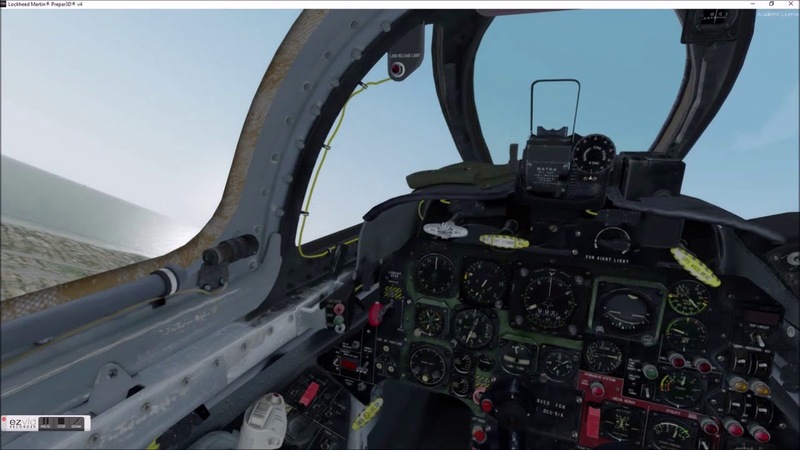 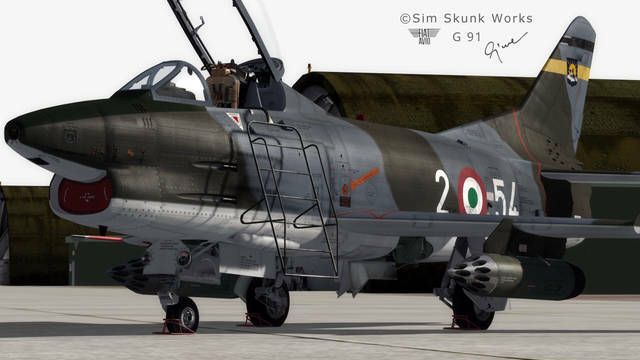 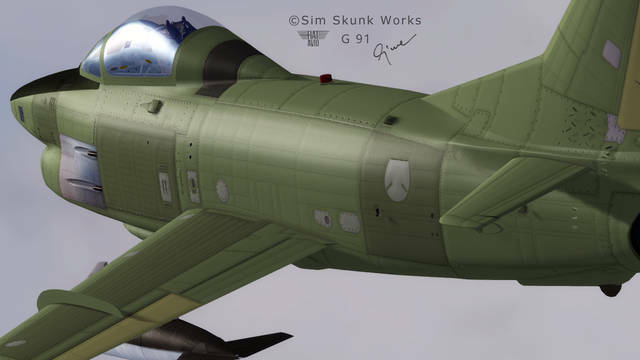 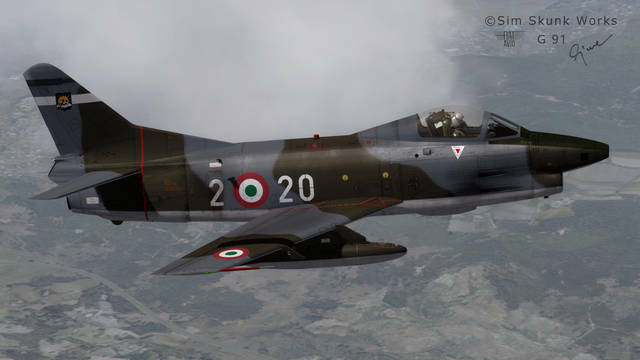 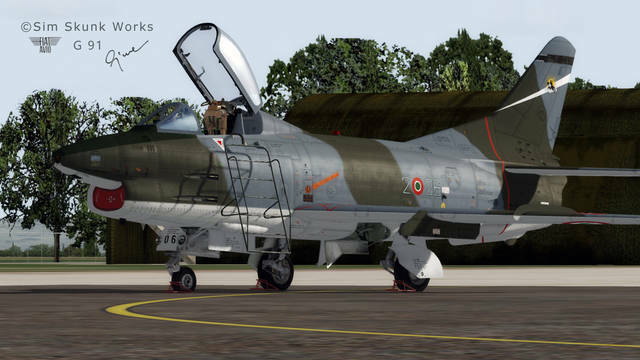 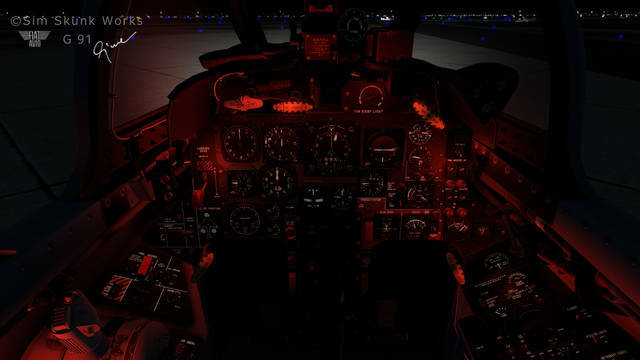 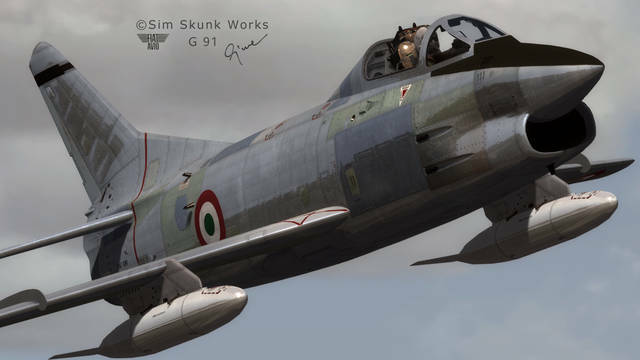 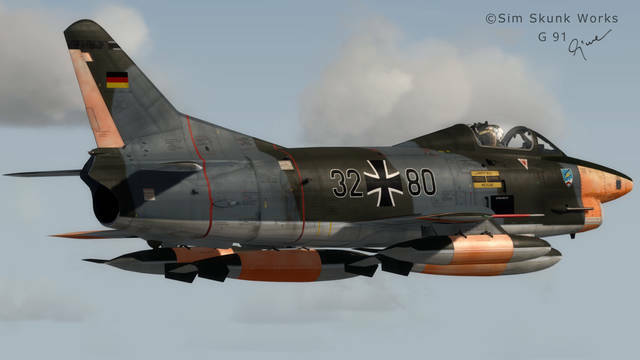 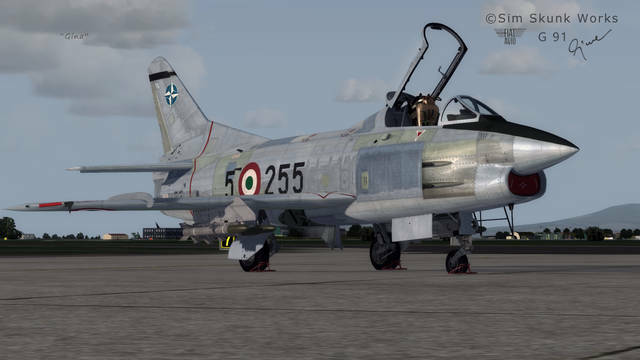 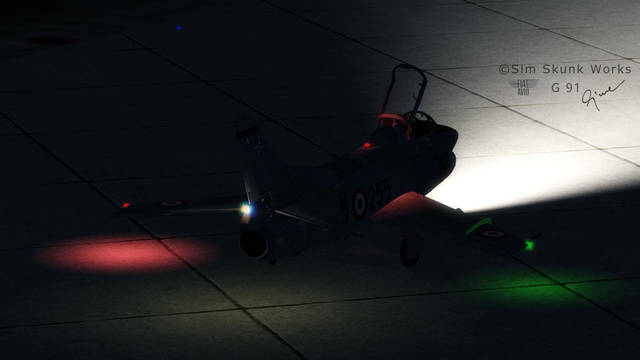 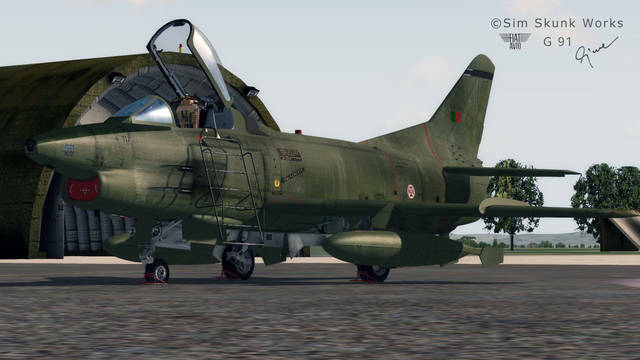 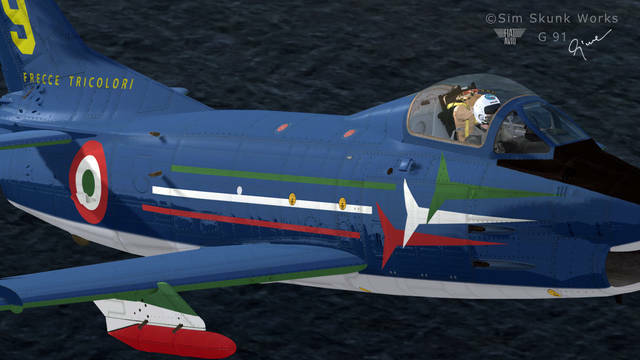 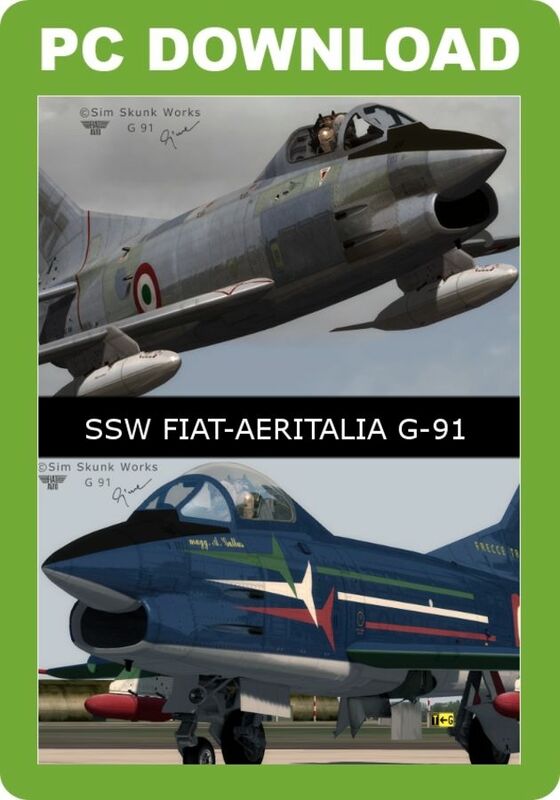 This Sim Skunk Works Fiat G.91 Italian jet fighter for P3D v4 is compatible with TacPack and vACMI and features DDIS (Dynamic Drag Index System), an aircraft configurator for payload and refuelling, accurate flight dynamics, aerodynamic 'wing drop' and inertia coupling. 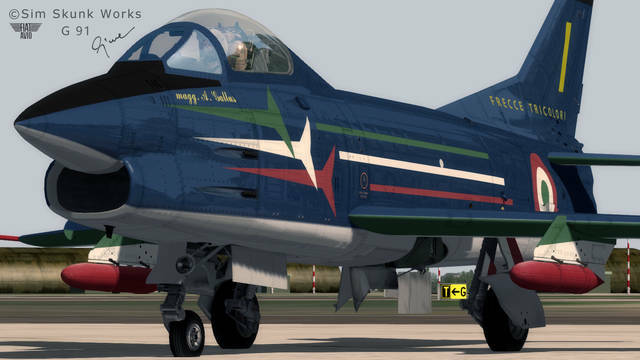 Several paint schemes are included along with 1970s scenery of Treviso Sant'Angelo airport (LIPH).